Table 2. Quality criteria used to review citations on systems of care for the elderly. Table 3. Key elements of integrated systems for the selected models. Interest is growing in integrated systems of care for the frail elderly. Few such systems have been both documented and evaluated in a rigorous manner. The present article provides an international review of such systems. The literature on integrated care covered the period from 1997 to 2010, inclusive. Some 2,496 citations were identified from Age Line, PsycINFO, CINAHAL and MedLine and were reviewed. To be included in this paper, articles had to provide a good description of the care delivery system and good quality evaluations. Only nine articles were retained. Most of the articles reviewed described some form of coordinated care without evaluation. There were essentially two types of models of integrated care delivery for the frail elderly. One was a smaller, community-based model that relied on cooperation across care providers, focused on home and community care, and played an active role in health and social care coordination. The second type of model was a large-scale model that could be applied at a national/provincial/state, or large regional health authority, level, had a single administrative authority and a single budget, and included both home/community and residential services. Integrated care delivery can be achieved in various ways. Irrespective of which model is adopted, some of the key factors to be considered are how care can be coordinated effectively across different types of services, and how all the care provider organizations can be coordinated to ensure continuity of care for frail elderly persons. Los sistemas integrados de asistencia para los ancianos frágiles suscitan cada vez más interés. 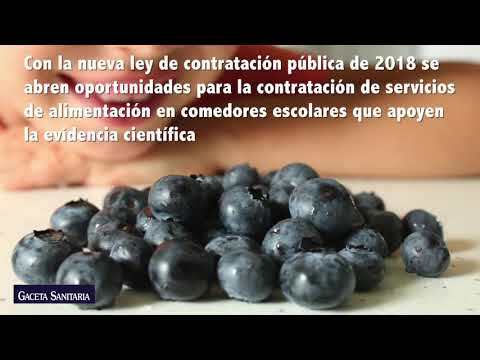 Hay pocos sistemas de este tipo que hayan sido documentados y evaluados de forma rigurosa. Este trabajo presenta un estudio internacional de estos sistemas. Correspondientes al periodo de 1997 a 2010, se identificaron y revisaron 2496 referencias bibliográficas de Age Line, PsycINFO, CINAHL y MedLine. Para ser incluidos en el estudio, los artículos debían ofrecer una buena descripción del sistema de asistencia sanitaria y unas buenas evaluaciones de calidad. Sólo se seleccionaron nueve artículos; la mayoría de ellos describían algún tipo de asistencia coordinada sin evaluación. Principalmente se han encontrado dos tipos de modelos de atención sanitaria integrada destinada a los ancianos frágiles. Uno era un modelo comunitario pequeño basado en la cooperación entre profesionales sanitarios, se centraba en la asistencia domiciliaria y comunitaria, y tenía un papel activo en la coordinación de la asistencia sanitaria y social. El segundo era un modelo a gran escala que podía ser aplicado por autoridades sanitarias nacionales/provinciales/estatales/regionales, que tenía una autoridad administrativa única, un solo presupuesto e incluía tanto servicios domiciliarios/comunitarios como residenciales. Hay varios modos de lograr una asistencia sanitaria integrada. Algunos de los factores clave a tener en cuenta, independientemente de cuál sea el modelo que se adopte, son cómo coordinar la asistencia entre los diferentes tipos de servicios de forma eficaz y cómo asegurarse de que todas las organizaciones asistenciales trabajan juntas para garantizar la continuidad de la asistencia para las personas mayores frágiles. Frail elderly persons require a wide range of health, social, and residential care services to respond to their health care needs. These services often function in isolation from each other from an administrative, policy and clinical perspective. A response to problems encountered in segmented, or splintered, approaches to delivering services to the frail elderly has been to develop integrated models of care delivery, which take a more holistic view of clients and their needs. These integrated approaches are designed to overcome administrative, policy, financial and clinical blockages in regard to patient-centered care delivery. The objective of more integrated models is to provide a continuum of care for frail elderly persons, within a system of care with a broad range of services matched to their needs. Distinct jurisdictions use different approaches for developing integrated models of care delivery for the frail elderly. The approaches developed are congruent with their existing health care delivery contexts. Since the late 1990s, there has been growing interest in –and movement toward– more integrated systems of care delivery for the frail elderly. However, relatively few such systems have been both documented and evaluated in a rigorous manner. The present article provides an international review of integrated systems of service delivery for the frail elderly. The focus is on ongoing, comprehensive, integrated systems of care delivery for the frail elderly and not on innovations in regard to particular types of services such as residential care, home care nursing, adult day care or preventive home care, or specialty, or time-limited interventions. This article is our contribution to a growing, but still limited, literature on integrated models of care delivery1–9. The integrated care models presented are for home and residential care services. These models are not primary care models per se, although physicians play an active part, nor are they broad-based health care systems. The systems discussed provide integrated care designed to address the set of health, social and functional needs of the frail elderly. The literature on integrated care covered the period from 1997 to 2010, inclusive. The following electronic databases were accessed: Age Line, PsycINFO, CINAHAL and MedLine. To be included in the search, the articles had to have elements on three topic areas: Frailty, Systems of Care, and Costs/Evaluation (table 1). Some 2,505 citations were reviewed. To be included in the present study, the articles had to provide a good description of the care delivery system and good quality evaluations. The screening criteria are presented in table 2. The literature search was conducted in two stages. The first stage covered the period from 1997 to 2006. This was the initial search directed toward the preparation of a research report for the Canadian Initiative on Frailty and Aging10. To ensure complete coverage, a follow-up search was conducted that covered the period 2006 to 2010. Quality criteria used to review citations on systems of care for the elderly. 4. Is there a good description of the overall model of care delivery?e 4. Did researchers standardize care levels (levels of need for services) in their analysis of service utilization and costs (does not apply to randomized clinical trials)? 6. Is there some discussion of monitoring the quality of care on an ongoing basis? 6. Were the cost data calculated in an appropriate manner? 7. Were the outcome measures used valid and reliable? Rating guide: 1=unacceptable, 2=minimum criteria met, 3=reasonably meets criteria, 4=meets criteria well. “Clear and appropriate” refer to an article written in a manner that could be easily understood, was well structured in terms of the component parts of the paper, flowed logically, and provided sufficient, concisely written information on the topic of interest. If there was a reasonably complete discussion of the nature and scope of the linkage/coordination mechanisms used, the component parts of the system, and who in the organization was responsible for linkages both within the system, and between the system or organization and other organizations (e.g., linkages between home care and hospitals), and/or if there was a description of how clients moved from component to component within the system of care, the article was given a score of 4 for this criterion. A randomized clinical trial received a rating of 4, papers with quasi-experimental designs or with comparison groups received a score of 3, time series analyses or other non-comparison group analyses (e.g., pre-post) received a score of 2. A randomized clinical trial received a score of 4 and comparisons between groups received a score of 3, as did matched groups. Other forms of comparisons received a score of 2. A “good” description was one which described the broader health care context, the system of care for the frail elderly, the components of the system of care, and the linkage mechanisms between components. Cost-benefit analyses received a score of 4, cost utility and cost-effectiveness studies received a score of 3. Cost comparisons with some form of outcome analysis received a score of 2. The results of the initial search and the full search are shown in figure 1. The full search identified 2,505 unique citations. All 2,505 citations and abstracts were reviewed by a team member using a very broad and inclusive approach to determining which citations could be included, based on the criteria in table 2. This review resulted in the selection of some 53 citations. The full texts of the 53 papers were obtained and were reviewed by both of the present authors using a more rigorous approach to the screening criteria. This second resulted in a final selection of 27 citations. Stages in selecting the final documents for review. The 27 citations selected were independently reviewed by two senior scholars with expertise in all of the following: research methods and statistics, economic evaluation, program evaluation, care delivery systems for the elderly, health policy, and service delivery. One reviewer had an endowed chair in social policy and the other was a former head of a School of Public Administration. The reviewers independently scored the 27 articles. The articles were blinded for the name(s) of the author(s), author affiliation(s), and the journal in which the article was published. The scores from the two reviewers were averaged to produce the final selection scores. This review resulted in the selection of nine articles for inclusion in the present article. Given the nature of the topic to be reviewed, i.e., systems of care delivery, the criteria used for evaluation (table 2) could not be quantified to the same degree as that which would be used for a randomized clinical trial. Since a degree of subjectivity was required, high-level experts were used who were highly familiar with the topic area and could provide informed, expert ratings of the articles to be reviewed. The screening criteria for the models of care component of the review were based on the key elements of structure and function for an integrated home and residential care system for the elderly. The scoring template (table 2) was provided to the two expert raters. This template asked the raters to independently and rigorously rate each question/criterion for each article on a four-point scale. If, in the reviewers’ view, the question/criterion was not met (i.e., the answer to the rating question was “no”), it was given a score of one. If the question/criterion was fully met, in accordance with accepted professional standards for review, it was given a score of four. If the criterion met a reasonable standard it was given a three. If the question was on topic and provided a moderate degree of information on the question/criterion it was given a two. A continuum of quality and some degree of unavoidable subjectivity were expected. Nevertheless, the scores provided, and the relative rankings, were similar for both reviewers. The maximum possible score for the 13 criteria was 52. Articles with scores of 39 or higher (an average score of three out of four for the 13 criteria) were selected for this review. The number of papers retained for this study may seem low (fig. 1), but most of the articles reviewed were descriptions of some form of coordinated care without evaluation, others considered coordination of three or less components of health or social care, and others did not discuss the service coordination procedures. The use of systematic selection criteria and of a rigorous scoring template would account for some of the differences in the type and number of articles selected in our review compared with the other review articles noted above. Selected articles were clustered into two major groupings: smaller, more community focused models and larger models mandated at the state or provincial level. The following text, and table 3, present information on each of the models selected. Key elements of integrated systems for the selected models. PACE: Program of All-inclusive Care of the Elderly; SIPA: System of Integrated Care for Older Persons; PRISMA: Program of Research to Integrate the Services for the Maintenance of Autonomy. The Program of All-inclusive Care of the Elderly (PACE) model11–14 evolved from the On Lok model in San Francisco. The PACE program provides a full range of community, residential and acute care services for high care needs frail elderly persons, certified as requiring nursing home care. Funded on a capitation funding basis, clients come to the adult day care and can receive services, as required, from a multidisciplinary team of care providers. PACE physicians are hired by the program and enrollees must use these physicians for their care. It is believed that capitation funding creates incentives to reduce the total cost of care by substituting community and preventive care for acute and residential care. The PACE program was evaluated in comparison with the Wisconsin Partnership Program (WPP). The WPP allowed people to use their own family physician and essentially functioned like a community based, multidisciplinary care team service. A cross-sectional time series design was used to compare utilization for the two groups in an 18-month period (PACE: n = 651; WPP: n = 634). Hospital admission rates, hospital days, hospital length of stay, emergency room visits, and preventable emergency room visits were all lower for the PACE program than for the WPP. The more active involvement of physicians in chronic disease management in the PACE model, partly due to salary-based funding, may explain these findings. The System of Integrated Care for Older Persons (SIPA) Model15,16 was a Canadian variant of the PACE model in the United States, although care was also provided to frail elderly persons who may not have required nursing home care. The SIPA was developed and implemented through intensive consultations with regional and local decision-makers, clinicians and academics. During the study period, the SIPA provided enhanced home care services and intensive case management through a multi-disciplinary team for people living in two catchment areas in Montréal, Québec. Care was co-managed with family physicians. Home and community-based health and social services were provided to frail elderly persons by the SIPA team. The SIPA model operated from within a community health center but had its own budget and governance structure. This model was a patient-focused, community-based, health care model that used multi-disciplinary teams with full clinical responsibility for delivering integrated care through the provision of a full range of services, including community health and social services, drug management, and the coordination of hospital and nursing home care, within a publicly managed and funded system. The main findings of a randomized clinical trial of the study was that the SIPA program was cost-neutral but decreased the utilization of all hospital-based services (emergency, outpatient and in-patient services), but mainly of acute care hospital beds for alternate level of care patients (“bed blockers”), and nursing homes for frail elderly persons living alone. SIPA costs for community-based care were 44% higher than those of these services for the control group. However, SIPA costs were 22% lower for institutional care. The increase in SIPA costs, compared with those for controls, was $3,390, while the decrease for SIPA clients, for institutional costs, was $3,770. The Program of Research to Integrate the Services for the Maintenance of Autonomy (PRISMA) Model17–19 was an Integrated Service Delivery model of care delivery for “frail older people”. During the study period, the model was structured through the voluntary coordination, in a given community, of existing provider organizations which provide services to the frail elderly, with ongoing collaboration with senior academic researchers. The model did not require new infrastructure or new financing mechanisms. Care coordination was achieved by cross agency collaboration at the board/senior executive, management, and clinical levels. A quasi-experimental design was used with an intervention group (n=272) and control group (n=210) covering a 3-year period in two Québec communities. There was a decrease in the level of functional decline over time in the study group compared with the control group, which was statistically significant at 12 and 24 months. Decreases in costs were implied through findings related to reductions in hospital readmissions, institutionalization, and the rate of functional decline. The Illawarra Coordinated Care Trial20–22 was established as part of a series of nine coordinated care trials in Australia aimed at coordinating care for people 65 years of age and older with complex medical needs. The trial was administered through a single, stand alone agency funded through a single envelope based on average annual costs of services in the regular health system. Providing care coordination, and having access to a pool of funds to purchase services was expected to result in more coordinated, effective and cost-effective care than usual care. A quasi-experimental model with random assignment of 1,200 clients into the coordinated care group and 600 clients into the control group was used. Once the trial started, only 13% of clients were found to have complex needs. The primary hypothesis was that the new model could be funded within existing resources. Proportionally, twice as many individuals in the care group, compared with the controls, were admitted to residential care (7.5% versus 3.3%). At the end of the trial, there was a deficit of $1.7 million or 12.7% of the allocated budget. Almost all of the coverage on budget expenditures for the coordinated care group could be attributed to the added cost for new care coordinators used for the trial. However, the method of making the initial allocations may have had some flaws. This model used enhanced clinical services plus high intensity case management to try to improve integration between acute care and long-term care service delivery systems using a clinical nurse case manager supervised by a geriatrician23. The model attempted to enhance care on a cooperative basis without using financial or regulatory incentives. This model was designed for high risk clients aged 60 and over who had had at least one hospital admission, an emergency room visit in the past 6 months, and functional limitations and/or medical conditions requiring care. A randomized trial was used in which 308 individuals were randomly assigned to the intervention group (n=156) or the control group (n=152) and were followed up for 6, 12, or 18 months. There was no significant difference between the intervention and control groups with regard to hospital admissions or the mean number of days in the hospital. There were no significant differences in hospital expenditures or in physician, home health, hospice, nursing home days and medical equipment expenditures. After the first 6 months, total costs were higher for the intervention group but were lower at 12 and 18 months. However, overall, the authors conclude that there were no meaningful differences between the two groups on the measure of total costs. In the early 1990s, the northern town of Rovereto (population 35,000) created a broad range of services for older people including a hospital geriatric unit, a long-term care facility, and home care services, initially operating independently from each other. In 1995, a shared care model24–26 involving the case manager, the multidisciplinary team of the geriatric unit, and the client's physician was developed and a randomized trial compared home care clients receiving usual care with clients receiving coordinated care through case management (n=100 in each group). A range of assessment instruments were used. The case manager reported the findings of the assessment to the geriatric evaluation unit which, in turn, determined the services for which clients were eligible and developed and implemented an individualized care plan for each client, in agreement with the client's general practitioner. Clients in the intervention group were admitted to hospital later, had a lower number of visits to emergency room, and the cumulative number of days in a long-term care facility or in an acute care hospital were significantly less for the intervention group (p<0.01). Over the 1-year period, there was an average saving of $1,806 (US) per client in the intervention group, even after the additional costs of case management were included in the calculation. As part of a restructuring of the health care system in the early 2000s in Hong Kong, a randomized trial27 was conducted of community-dwelling frail elderly persons who had been discharged from hospital (n=130 each in the intervention and control groups). The main intervention was case management and a comprehensive geriatric assessment using the Hong Kong version of the Minimum Data Set – Home Care. Case managers provided regular home visits and telephone consultations, formulated, implemented, and revised, care plans, and provided facilitated counseling and education programs, and support groups for clients and family caregivers, as appropriate. Client data were regularly monitored using the Integrated Patient Administration System software program. Clients in the control group received usual care through what the authors refer to as a “highly compartmentalized” health and social services system. There was significant pre/post reduction in the use of hospital days for the intervention group compared with the control group. Overall, there was a saving of $170,448 (US dollars) over 6 months, including the cost of case managers. The British Columbia Model28–31 of the 1990s provided most care related services for seniors under one administrative umbrella and had one funding envelope for all services. Services included a wide range of health and social services such as home care nursing, community rehabilitation, home support services, adult day care services and group homes. The continuing care model also included long term care facilities and hospital-based geriatric assessment and treatment centers. Assessment, classification and care coordination were provided by provincial or municipal case managers who coordinated care across all components of the continuing care system and coordinated services with other aspects of the health and social services systems such as hospitals and primary care. The same case manager remained with the client even after he or she was admitted to facility care. There was a single administrative structure and a single funding envelope, which allowed program and policy decisions to be made on a system-wide basis. In addition, due to this structure, funds could be easily transferred across the components of the care delivery system. Care was provided to patients with legitimate, but low to medium, care needs, as well as to frail elderly persons with high care needs. A comparative analysis of costs and outcomes, standardized by level of care, for home/community services and residential services was conducted in two sites: Victoria BC and Winnipeg, Manitoba. There was no difference in life satisfaction between community and residential clients. Given the comparability in outcomes, a cost-minimization analysis was conducted, showing that, for each level of care and for both sites, home care services were less costly than residential care services. This finding was true of both costs to government and broader, societal costs, which included out-of-pocket expenses and the time spent by informal caregivers to care for their loved ones. In patients with lower care needs, the provision of modest amounts of care was cost-effective as it reduced the rate of admissions to hospitals and long-term care facilities31. In 1981, the state of Arizona passed legislation to implement a new program called the Arizona Health Care Cost Containment System32,33, with the aim of expanding acute care while containing costs. In 1989, this initiative was broadened to establish the Arizona Long Term Care System (ALTCS). During the study period, the state paid managed care organizations to provide a set of long-term care-related services to individuals in a given geographic area, on a capitation basis. In turn, these organizations provided, or paid for, all long-term residential care and home care services (professional and supportive care), and for acute care and behavioral care. Entry into the system was through the use of independent preadmission screening teams of registered nurses and social workers who were state employees and operated at arm's length from the managed care organizations. Clients were income or asset tested. The preadmission screening included multidimensional assessment. Only higher needs clients were accepted into the program, resulting in a “significantly impaired population”. Given that the ALTCS was already in existence, a randomized trial could not be performed. Thus, a computer simulation was developed from national survey data to determine what the costs for Arizona would have been if there had been no home and community-based care system to substitute home and community care services for long-term care residential services. The authors estimated that over a 24-month period, some 270,239 nursing home days were avoided, which would have cost $13,114,695. The cost of the ALTCS for the same time period was $8,508,864, for an estimated savings of $4,605,831 for the state of Arizona. As noted above, there were essentially two types of models of integrated care delivery for the frail elderly. One was a smaller, community-based model that relied on cooperation across care providers, focused on home and community care, and played an active role in health and social care coordination. The second type of model was a large scale model that could be applied at a national/provincial/state, or large regional health authority, level, which had a single administrative authority and a single budget, and included both home/community and residential services. Most of the smaller, home and community care based models noted in the literature were primarily demonstration projects and may need to be formally adopted by governments or insurers before they become the standard of care across large geographic areas, and/or large population group. The factors which, in general, distinguish these models from the larger, provincial/state models such as those in British Columbia and Arizona are the following: (i) a focus on a high care needs, frail elderly population; (ii) a reliance on cooperation across care providers and care provider organizations to ensure that care providers participate in the continuum of care; (iii) multi-disciplinary care teams that include geriatricians; (iv) an active role for physicians in the overall management of care of the client; (v) inter-organizational care coordination across home and community-based services and with residential and acute care institutions; (vi) reliance on already existing budgets for home and community care providers in the continuum of care; (vii) a focus on community-based care; and (viii) in some cases, an integrated information system and a home care classification system. The findings of this review indicate a range of outcomes for these types of models. While the elements making one model successful and another unsuccessful were unclear, an essential component may be the level of cooperation across care provider organizations and the successful implementation of integration among health and social care at the clinical level. While the literature is mixed, the potential clearly exists for these community-based models to be successful. While the SIPA model did not implement capitation, capitation funding (as is done with PACE models) could be used to ensure greater compliance with system level requirements through the power of purchase of service agreements. Another approach is that adopted by PRISMA, which promotes a type of system level administrative oversight, to resolve issues as they arise. These community-based models can be implemented fairly readily locally without major changes in policy or legislation at national or provincial/state levels and they do not require additional funding. Coordination functions have been funded within their own budget. In contrast to the above, large scale systems are more difficult to implement as they may require changes to existing legislation and policy. Furthermore, implementation is challenging as care provider organizations, to receive funding and be part of the system of care, must agree to make their interests subservient to the interests of the broader system, which can often be quite challenging. Nevertheless, there are also clear benefits to this approach. The characteristics that generally distinguish this model from the community based models are as follows: (i) a single administrative authority mandated by legislation or policy to manage the overall system of care; (ii) a single funding envelope; (iii) direct control over a wide range of services including home and community care, residential care and some acute care services; (iv) case management with consultation, as required, with physicians. While a range of disciplines can be consulted as needed, multi-disciplinary teams per se are not used; and (v) a system-wide client classification system that classifies clients into the same levels of care need, irrespective of the site of care. The assessment tool which was used in the SIPA and PRISMA models in Québec also had these features. While there are clear challenges to implementing these larger systems, they do have a series of benefits. Because of the single administrative structure and single funding envelope, the administrative authority can have leverage over care providers to ensure seamless care. For example, because the single administrative authority funds both home care and residential care, it can stop facilities from “cherry picking” their new clients (i.e., to game their funding system in order to maximize revenues). An additional advantage of these larger models is that policies and clinical practices can be established at a broader systems level to enhance the continuity of care. While the provincial/state level and community level models are different they also generally have a number of common features including the following: (i) a philosophical belief regarding the benefits of a coordinated continuum of care; (ii) care planning and coordination across a range of services; (iii) a reasonably wide range of home and community-based services, which are seen to be part of the continuum of care; (iv) a single point of entry into the system of care; (v) independent case management and client classification by case managers/assessors; (vi) an integrated information system; and (vii) system level policies and procedures that spell out how the continuum of care works, particularly with regard to who is eligible for care, how clients can receive multiple services over the same period of time, and how clients transition between types, or sets, of services (e.g., home care to residential care). In conclusion, all of the models of care discussed above focus on integrated care delivery. There are various ways to achieve this goal. Irrespective of which model is adopted, some of the key factors to consider are how care can be coordinated effectively across different types of services, and how all the care provider organizations involved can be coordinated to ensure continuity of care for frail elderly persons. Both authors participated equally in the design of the study, analysis of the data and planning and writing of the paper. This study was supported by the Canadian Initiative on Frailty and Aging funded in part by the Max Bell Foundation, Calgary, Canada. Policy framework for integrated care for older people. Outcomes of coordinated and integrated interventions targeting frail elderly people: a systematic review of randomized controlled trials. Organizing healthcare delivery systems for persons with ongoing care needs and their families: a best practices framework. M. Johri, F. Béland, H. Bergman. International experiments in integrated care for the elderly: a synthesis of the evidence. Whole system approaches to health and social care partnerships for the frail elderly: an exploration of North American models and lessons. Integrated care: meaning, logic, applications and implications. A discussion paper. Developing integrated health and social care services for older persons in Europe. Five laws for integrating medical and social sciences: lessons from the United States and the United Kingdom. Frameworks of integrated care for the elderly: a systematic review. The Canadian initiative on frailty and aging. R.L. Kane, P. Homyak, B. Bershadsky, et al. Variations on a theme called PACE. D.B. Mukamel, D.R. Peterson, H. Temkin-Greener, et al. Program characteristics and enrollees’ outcomes in the Program of All-Inclusive Care for the Elderly (PACE). Meret-Hanke LA. The effects of the Program of All-Inclusive Care for the Elderly (PACE) on hospital and nursing home use. [Dissertation]. Pennsylvania: Pennsylvania State University; 2009. C. Eng, J. Pedulla, G.P. Eleazer, et al. Program of All Inclusive Care for the Elderly (PACE): an innovative model of integrated geriatric care and financing. F. Béland, H. Bergman, P. Label, et al. A system of integrated care for older persons with disabilities in Canada: results from a randomized controlled trial. F. Béland, H. Bergman, P. Lebel, et al. Integrated services for frail elders (SIPA): a trial of a model for Canada. R. Hébert, P.J. Durand, N. Dubuc, PRISMA Group, et al. Frail elderly patients. New model for integrated service delivery. R. Hébert, A. Veil, M. Raiche, et al. Evaluation of the implementation of PRISMA, a coordination-type integrated service delivery system for frail older people in Québec. R. Hébert, M. Raîche, M.F. Dubois, et al. Impact of PRISMA, a coordination-type integrated service delivery system for frail older people in Quebec (Canada): a quasi-experimental study. D. Perkins, A. Owen, D. Cromwell, et al. The Illawarra coordinated care trial: better outcomes with existing resources?. M. Battersby, P. Harvey, D.P. Mills, et al. SA HealthPlus: a controlled trial of a statewide application of a generic model of chronic illness care. S. Masters, J. Halbert, M. Crotty. Innovations in aged care: what are the first quality reports from the transition care program in Australia telling us?. R. Applebaum, J. Straker, S. Mehdizadeh, et al. Using high-intensity care management to integrate acute and long-term care services: substitute for large scale system reform?. R. Bernabei, F. Landi, G. Gambassi, et al. Randomised trial of impact of model of integrated care and case management for older people living in the community. F. Landi, G. Gambassi, R. Pola, et al. Impact of integrated home care services on hospital use. F. Landi, G. Onder, A. Russo, et al. A new model of integrated home care for the elderly: impact on hospital use. A.C. Leung, C. Liu, N.W. Chow, et al. Cost-benefit analysis of a case management project for the community-dwelling frail elderly in Hong Kong. N.L. Chappell, B. Havens, M.J. Hollander, et al. Comparative costs of home care and residential care. A comparative analysis of costs to government for home care and long-term residential care services, standardized for client care needs. The British Columbia Continuing Care system: service delivery and resource planning. M.J. Hollander, N.L. Chappell, M. Prince, et al. Providing care and support for an aging population: briefing notes on key policy issues. W.G. Weissert, T. Lesnick, M. Musliner, et al. Cost savings from home and community-based services: Arizona's capitated Medicaid long-term care program. N. McCall, C.W. Wrightson, W.G. Weissert, et al. Evaluation of Arizona's health care cost containment system demonstration. Final report.